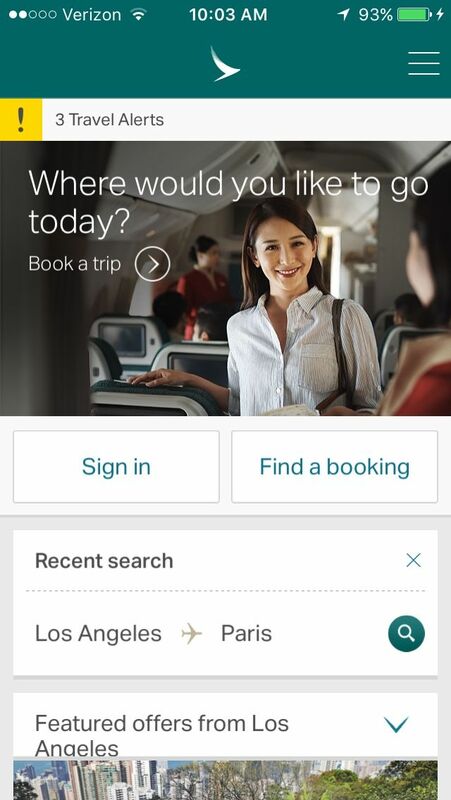 How mobile-friendly is Cathay Pacific? Lucky for you Apple device users out there, Cathay Pacific has an iOS app that will work on all of your devices. As a member of Cathay Pacific Marco Polo Club (and we always recommend joining loyalty programs, you can use the app to manage your account, view upcoming reservations, and more. The Android apps from Cathay Pacific work with all Android phones and tablets from various manufacturers (Samsung, LG, Google, etc. ), and Android Wear watches might also be compatible. As is often the case, the Android app offers the same functionality as the iOS app. Instead of downloading the mobile app, you can try visiting the mobile website of Cathay Pacific to find flights and manage reservations. Click here for their website.